A year ago Darcy Pennington had no real friends. A year ago she'd thought that magic only existed in fairy tales. A year ago she would have laughed at the idea of other worlds. Then everything changed when she'd visited Cedar Cove Family Camp and stumbled into a magical gateway to a world called Alitheia. It is the summer before freshman year and Darcy and her five friends have come back to Cedar Cove Family Camp and Alitheia. This return is bittersweet because her elusive purpose in the magical realm continues to evade her. Egged on by Tellius, the boy prince she is prophesied to marry, Darcy rebels and impulsively "petitions" an entity called the Oracle and requests it give her information as to her purpose. In order to receive her answer she must travel to the Oracle, and so she embarks on a journey along with her friends and Yahto Veli, the nark. Too late she realizes her selfish entreaty has thrown the entire outcome of the prophecy itself into question and endangered everyone. 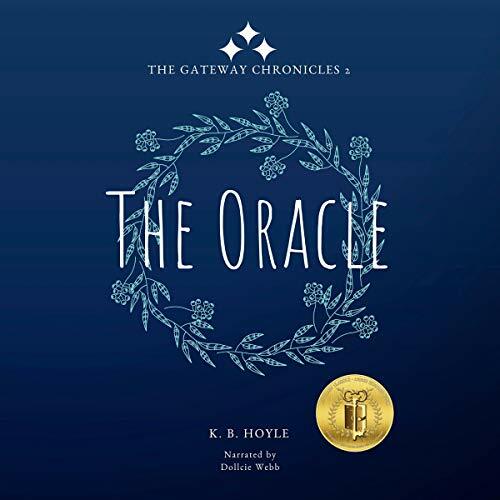 Uncertainties mount between Darcy and her companions as they fight their way through enemy territory to locate the Oracle, and an unwelcome visitor from Cedar Cove adds a layer of mystery that none of them are prepared for. But the perils of the quest are nothing when compared to what lies in wait for her in the lair of the Oracle. There is a cost associated with every question asked - a cost that may be far greater than Darcy is willing to pay. And someone may choose to make the ultimate sacrifice to free her from it.